Energy is seeing one of the biggest technological upgrades in the last 100 years. For the last century, we’ve used relatively the same power distribution system to transfer energy from a grid to the consumer. Now that smart technology, renewable energy, and a variety of other technological advancements have been introduced to the energy industry, we’re seeing a shift in focus. Not only is the industry looking for cleaner ways to produce energy, but they are also examining how the energy is transferred from the grid to the consumer. The industry is prioritizing cleaner energy, more efficient energy use, and more efficient energy transfer. If you’re ready to take the next step towards green energy, give West Coast Solar a call today! We offer solar design, installation, and financing services to our clients in Sacramento, San Jose, and the surrounding areas. You do more than save some money on utility bills when you choose to use renewable energy to power your life. 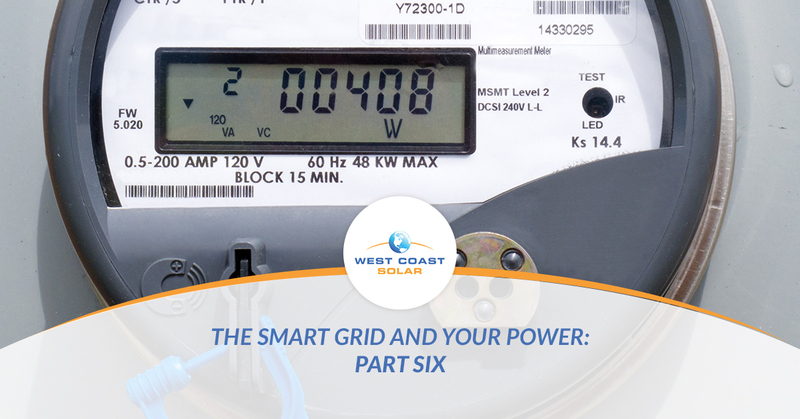 Continue reading to learn more about smart grids and power distribution! What does energy distribution intelligence mean? Power distribution is completed through various components like wires, switches, and transformers. These components connect the power grid to the consumers. For example, power lines will run from the grid to homes and businesses in the area across towers or underground. One major component to power distribution intelligence is being able to determine where and when a power outage has occurred. With the traditional distribution system, a large majority of utility companies rely on customer calls to address power outages. A smart distribution system, similar to a smart grid, will allow utility companies to monitor power distribution and status in near real time. This means that if a power outage occurs, an “intelligent” distribution system will let the utility company know before a customer can call. How does the intelligent power distribution system affect energy use? A few benefits exist with power distribution intelligence. The biggest benefit is that power outages can be addressed and resolved sooner. Utility companies would be able to dispatch teams to fix power outages sooner and decrease the time between outage and resolution. Typically, the traditional system relies on complex mechanism to keep power flowing to its customers, even during outages or damaged lines. This takes time. A smart grid paired with an intelligent distribution system could reduce the time to reroute power down to a few seconds. In some cases, it could be within a few milliseconds that power is rerouted to the consumer. This type of technology is what makes smart grids and power distribution systems so exciting. The consumer would experience little to no side effect of a small power outage, and they could continue to use their power as if nothing was wrong. Also, consumers who install a solar power system on their home could add a layer of protection to their energy consumption in the event that there was a serious power outage. A solar system that included a battery bank would insulate the customer from power outages and allow them to continue using energy until the utility company resolved the power issue. Why are intelligent distribution systems important? When it comes to energy consumption, efficiency, and effectiveness, an intelligent power distribution system increases the consistency of all three. As mentioned above, a system that can make decisions on how to best distribute energy in the matter of seconds results in less power-use interruptions. Pair this system with a smart grid, and energy use efficiency and effectiveness will increase substantially, which reduces pollution, increases consumer satisfaction, and benefits the environment greatly. In many instances, power distribution intelligence has been described as the “self-healing” system. The automation and smart technologies, whether at the components at the grid, en route to the consumer, or the home, create an efficient, effective, and reliable energy scheme to serve the end-consumer. The best way to protect yourself from potential power outages is to install a renewable energy production system. For example, if you have a solar power system installed on your home, a battery bank to store energy, and a power grid out of commission. You can use your stored energy to keep your home running until power comes back online. As long as you have sun, you can continue to produce energy, too, which means you could go without the grid for an extended period of time. However, the smart grid, net metering, and solar energy production all combine to create an energy independence never seen in history. Are you ready to go green? Contact West Coast Solar to install solar on your home! How power is distributed from the grid, through various components, and to the consumer matter just as much as how power is generated. At West Coast Solar, we want you to know that going green means more than saving a few hundred dollars on your utility bill; it’s a small decision in the bigger scope of helping the environment. When you use renewable energy, you’re creating a better future for you and your loved ones. If you’re ready to install a new solar system on your home or business, give us a call today! Otherwise, you can continue reading this blog series with part seven. You can also find a list of links to the other parts of this series at the beginning of this post.